90 day photo project: . 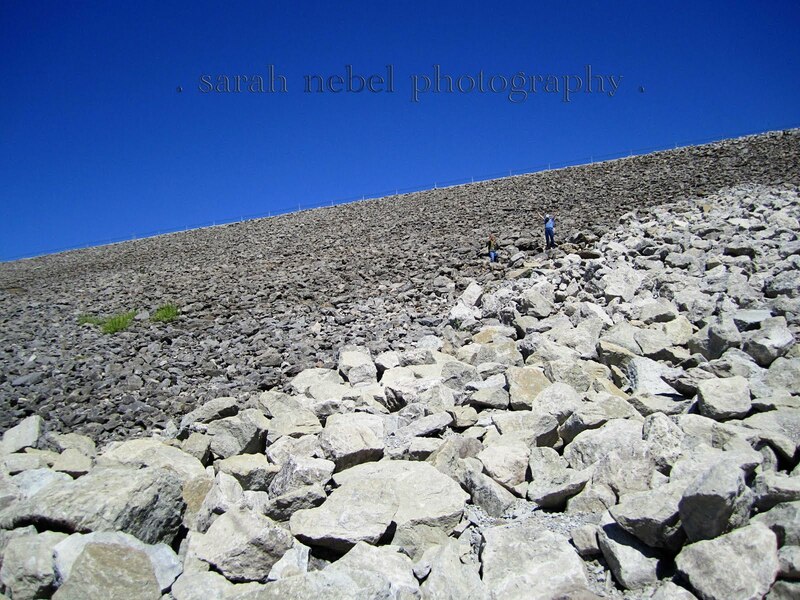 day 90 .
. ry and reed climbing the rocks at the coralville reservoir .
. so, today is day 90 for me . i know many of us started on different days so not everyone is finished . i have some catching up to do with editing and blogging, but i have taken the photos most every day . that's the main thing ! i hope to blog the rest of the photos by the end of the week .
. i'd like a little feedback from anyone who has participated, is still participating or even just checking this blog . was this fun for you guys ? too long ? did it cause you to look for things you wouldn't normally see ? what are you going to do with the photos you've taken ? are you wanting to do another project ? any suggestions on how we can make this project blog more fun ?
. i realize that's a lot of questions, but i thought it'd be great to hear from you and see what you think .
. in the next few days let's all try to catch up (if you have any catching up to do) and then we'll try to formulate a new plan, if there is going to be one . I participated early on but stopped posting pictures. I got lazy but I still looked at them every day. I hope you do it again and I'll try to keep up this time. I've managed to get a photo almost every day -- still have 3 more days to go for my 90. I have totally enjoyed it, although I think it would work just as well if the time frame were shorter. I'd like to see fall & winter pictures of the midwest because I miss those and thinks here are very different. I've learned a lot and try to look at things in new ways. My plan is to scrapbook my photos, including the narrative and comments. I loved this project. I know I didn't get a picture every day, but I didn't keep track too well, so I think I'll just be done. I like how it forced me to get out the camera and search hard for inspiration...some days it was a real stretch:) Another project would be fun, perhaps a little shorter though. I've already printed most of my photos and I think I'll just put them in a small album. Thank you for all you did to make this possible! I had a lot of fun doing it, but as I have posted felt like even though I "reached" to find other things I was still pretty much taking pictures of the same type things... I still REALLY enjoyed it and I think it was fun seeing what everyone else posted.... Let's do something like this again ! Really enjoyed all the interaction with the comments too! Thanks, Sarah,Brooke and Lauren for kicking the idea off ! What FUN! I didn't participate in posting pictures, but I enjoyed what everyone else had captured. I checked it almost every day. Thanks for sharing! I would definitely join another challenge. i don't know if it could be more fun. But maybe a topic to photograph each week or day, like a scavenger hunt, would be strecthing for some and easier for those who find it hard to create their own subject. It did force me to look at life around me in a different way. The time frame was fine but, like the other ladies, shorter would be great too. Time flew by for me! I have thought about a digital album for these photos, but I have not started on it. Thanks Sarah, Brooke and Lauren!